It is my turn to cook at Supper Club next week and with life: work, friends visiting from the UK, yoga and the gym also to fit in it doesn't feel like there is very much time between now and Thursday. So being the overly organised person that I am trying to get as much pre prep done as possible. It was going to be country themed and originally Mexican. The thought of some spicy food and a few ice cold margaritas appealed 6 months ago at the height of a wee Mexican obsession. However I kind of overdid the Mexican theme so the girls will have to wait a while for a Mexican fiesta, probably when Rick Bayless publishes another book! I then thought Italian, a perennial favourite, but even that wasn't quite working for me either. I don't know about you but it takes a little while for fully formed menus to come to me and they go through various incarnations and copious note writing before I get there. I'll write ideas down, tear pages out of magazines. I might read a recipe that I have just got to try and the menu will evolve around that or I may have a new cookbook that inspires me. In the end for this Supper Club I took inspiration from here and there from some of the wonderful food blogs I read....so if anything this is a food blogger inspired supper club. It was bound to happen with so much inspiration coming to you on a daily basis from all walks of life, from all across the globe. The menu at last appears to be sorted, bar any last minute whims, which could still happen between now and Thursday. Homemade bread with smoked salmon as little pre dinner nibble. Perfect with bubbles, and there is a Supper Club engagement to be celebrated, so bubbles are most definitely in order. As a nod to Charcutepalooza the starter will be a Bacon (homemade! ), Pear Apple (see a little change already!) and Goats Cheese salad with a lemon honey vinaigrette. More on that when I post for Charcutepalooza proper and can fill you in on what it is all about. If you can't wait and are dying to know what Charcutepalooza is you can check it out here. For the main event Dijon Chicken (via Smitten Kitchen), crispy duck fat roasted potatoes and green beans with a brown butter hazelnut dressing. Dessert is will be Lemon Curd and Vanilla Mousse (via Tartalette) with Ginger Snap Fingers (via David Lebovitz) and then, just because I felt like it, and had a notion to make some, there will be decadent chocolatey cointreau truffles to finish things off. It is also a nod to that romanticised day early next week. This recipe is simply your basic chocolate ganache with a little liquor thrown in for good measure and, especially working for me right now, they can be made ahead as they will keep in the fridge for a week or two. Don't be afraid of truffles. 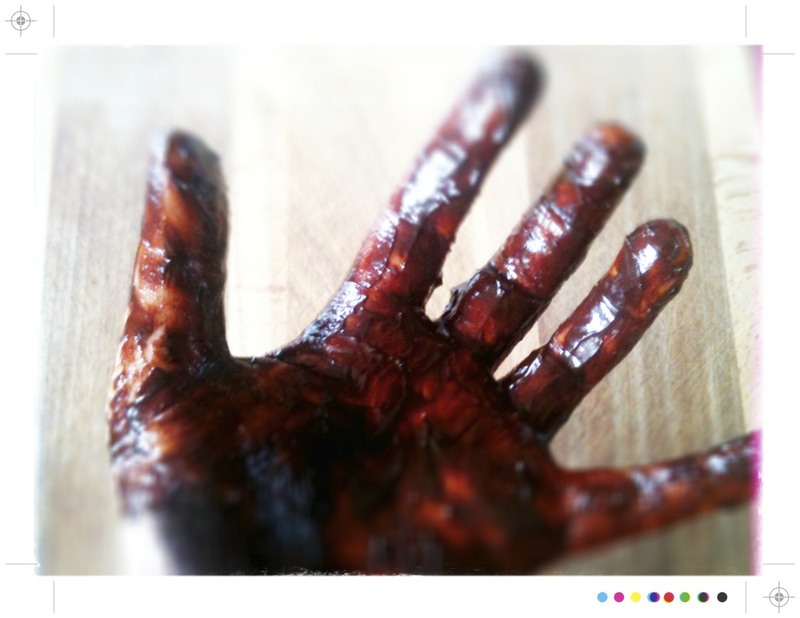 They are surprisingly easy to make, a tad messy, but that just means chocolate covered fingers to be licked clean. 330g/12oz bittersweet chocolate, chopped. I used Whittaker's Dark Ghana. 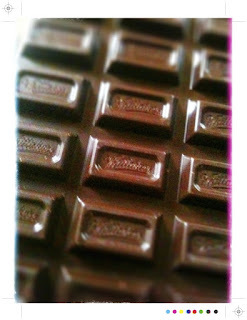 If you are a regular reader you that it is my favourite chocolate. Anything over 70% cocoa will give you a mouths a dark, rich decadence. If not so in to that any good quality chocolate will work. 1 tbsp Cointreau, but feel free to use whatever you have. Brandy, Grand Marnier, Frangelico would all work very well I am sure. 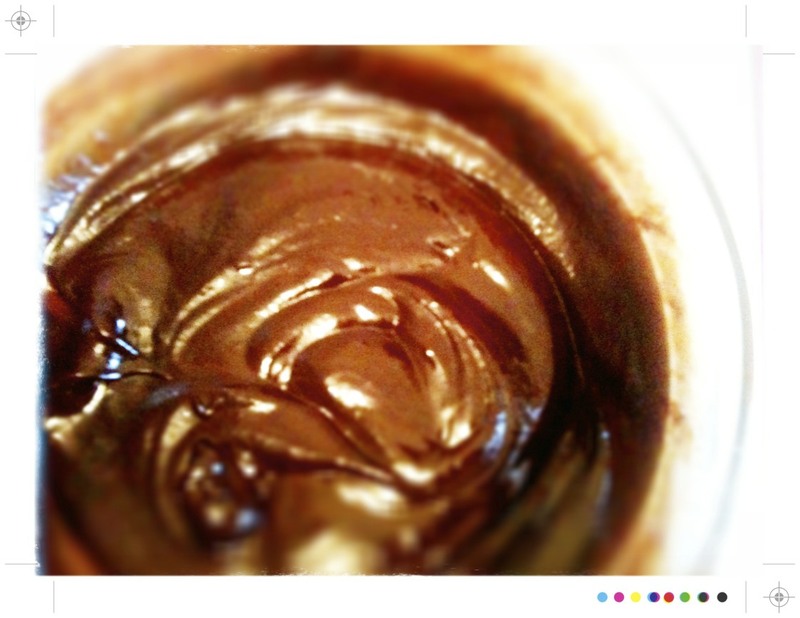 To melt the chocolate you want to use a double boiler to stop the chocolate turning into one big solid lump. Find a pot and a large bowl that will fit in it snugly without slipping into it. You want to make sure that there is a good centimetre or two between the bottom of the bowl and the water in the pot. Also, make sure you do not get any water into the chocolate mixture as it will seize up and your only option will be to dump it and start again! And to waste chocolate is just wrong. Fill the bottom of pot with a few inches of water. 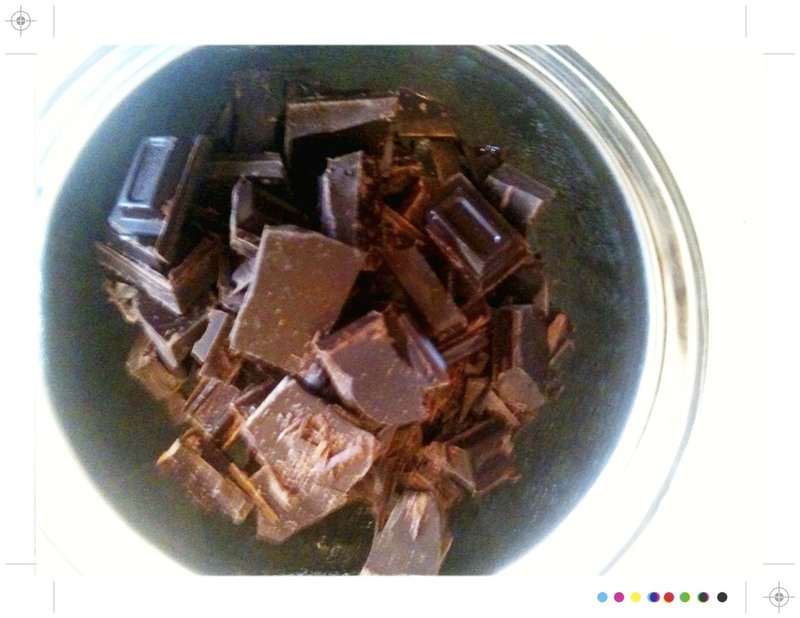 Bring it to a simmer over a medium heat and place the chocolate in the bowl above to melt. 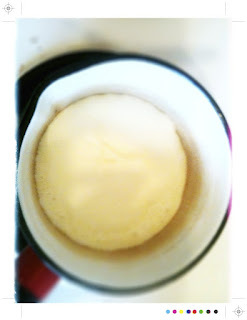 Meanwhile in a small saucepan warm the cream, but don't let it boil. Pour the cream over the chocolate and stir until the chocolate is completely melted and mixed together with the cream. Take the mixture off the heat and stir in the vanilla and Cointreau. Cover and refrigerate until firm enough to handle (about 3 hours). After the chocolate mixture has is firm enough to handle line a baking tray with baking paper. 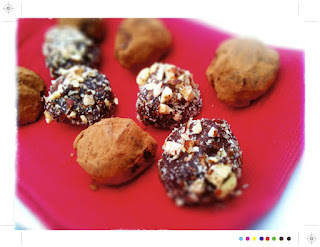 Take a teaspoonful or so of the chocolate mixture and then quickly roll it into ball with your hands. They don't have to be perfect spheres and these are so delightfully choclatey that the shape will be the last thing on people's minds. And I prefer the rustic look anyway! 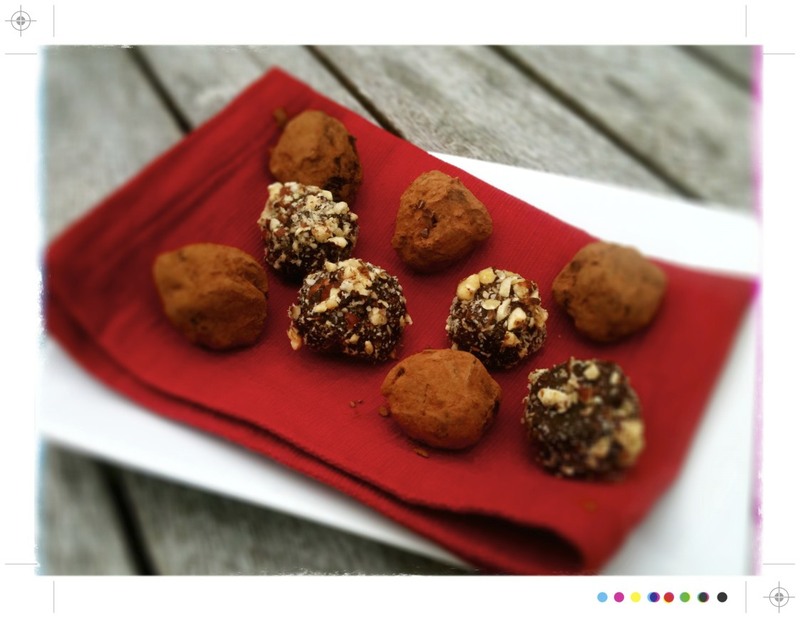 Place the rolled truffles on the lined baking tray. If the truffle mixture gets too sticky just place it back in the fridge for a few minutes. Once all the truffles are coated place them in the fridge for about 30 minutes. Once they're firm again, shake off any excess coating. And even though these are for Thursday I of course had to taste one. These take you in to a delightful chocolate haze. 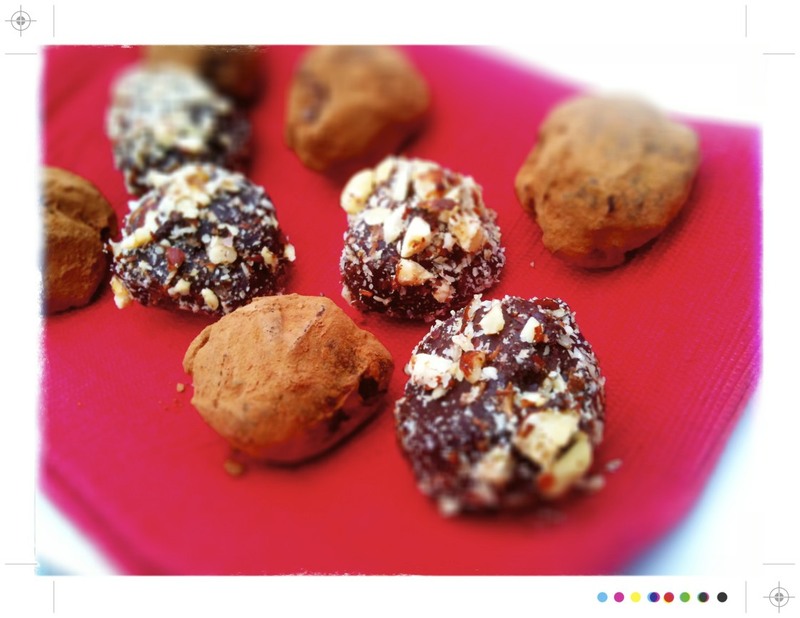 These dark little morsels are smooth, velvety, rich and indulgent. If you like chocolate you will love these. They would indeed be the perfect romantic treat for Valentine's Day this coming weekend, or for any weekend for that matter. oh perfect! Whittakers choccie too! Mrs PK & Pease Pudding...if any left post supper club I will add then to picnic basket for Saturday! @atouchofthecrazy - addicted to Dark Ghana! Delicious! 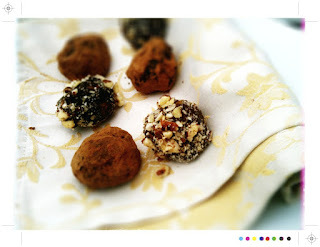 I'm not a big hazelnut fan but love truffles dusted in cocoa...a little bitterness to go with the sweet richness. Dark Ghana all the way! I like the sound of these. 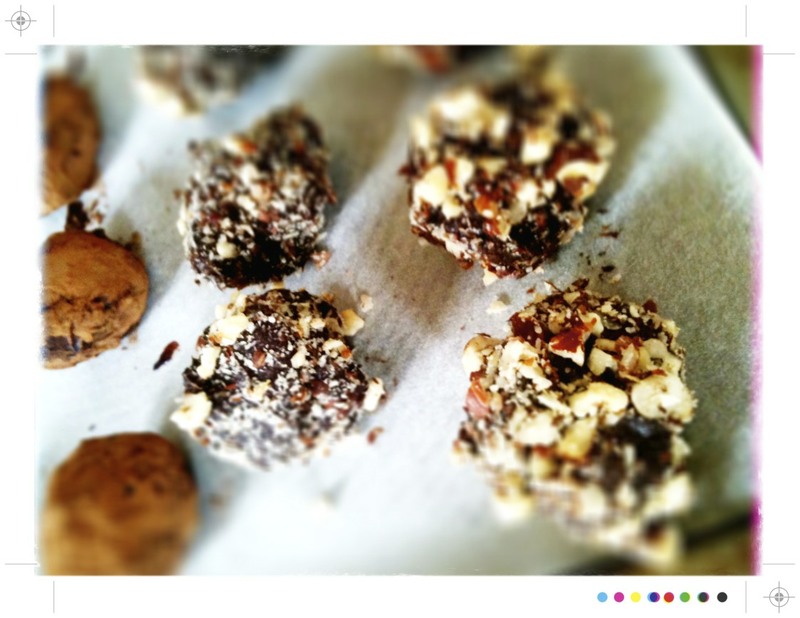 You can make them when you come home ! I'll come to your supper club anytime - pity you are so far away and that i'ts girls only !! Dear Mum & Dad,,,,promise to make them when I come home...not long now!